To schedule an appointment, call 603-542-5128 between 8:00 am and 4:30 pm weekdays. The Intake Representative will gather a brief history and some information from you, and schedule an appointment with a therapist for an intake assessment. Please note that if you are calling for an adult friend or family member, it is helpful to have the person with you when you call so we may talk to him/her. 2. How long do I have to wait for my appointment? What if I am in crisis? You will generally be scheduled to come in within one to two days of your call for your first appointment. If you are experiencing a crisis or have an urgent need, contact Emergency Services at 800-564-2578 or call 911. 3. What area does West Central Behavioral Health serve? 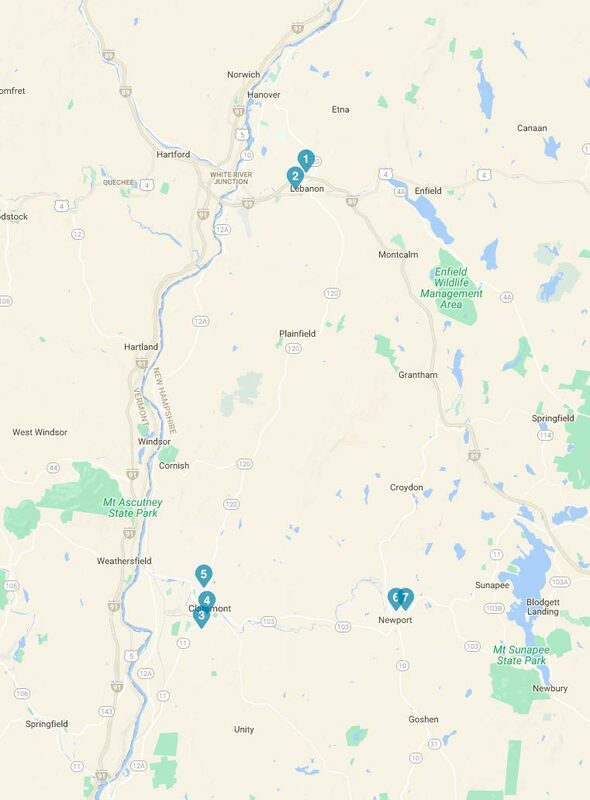 WCBH serves all of Sullivan County and the Upper Valley region including southern Grafton County. Towns include: Acworth, Canaan, Charlestown, Cornish, Croydon, Dorchester, Enfield, Goshen, Grafton, Grantham, Hanover, Langdon, Lempster, Lyme, Orange, Orford, Newport, Plainfield, Springfield, Sunapee, Unity, Washington. 4. How much do services cost? We accept Medicaid, Medicare, and most major medical insurances. Services can be provided on a sliding scale fee basis. Rates vary based upon the service provided, the length of treatment, and the programs for which you qualify. Our Intake Representative will review this information with you when you call for your appointment. 5. Can I come to West Central Behavioral Health and see a psychiatrist for medication only? No. We offer psychiatric services in concert with therapy and other services that may be included in your treatment plan. 6. Can I call to see how my family member’s treatment is progressing? We carefully adhere to the strict laws and standards protecting the privacy of our patients’ healthcare information. We are not able to share information about a patient unless he/she has signed a release form authorizing us to speak with a third party about their treatment. 7. Can my records be released to another party? If you sign a release, we are able to release your records directly to you or to a third party of your request. Please note that once your records are released, we no longer have any control over what the individual or agency does with the information they obtain. 8. How is West Central Behavioral Health funded? The majority of our income is from insurance payments from Medicaid and Medicare and other insurers. Income from contracts with state and local agencies represents 8%. Gifts, grants, and contributions from local municipalities provide 4% of our funding, and help to make it possible for us to deliver close to $500,000 in charity care each year.